It’s simple, trusted, and easy to book. By submitting, you agree to receive updates and offers from Baltimore Home Cleaning. You may unsubscribe at any time. Read our Terms & Conditions for more details. Baltimore Home Cleaning provides professional house cleaning and maid services to residents throughout Maryland. We serve clients in Baltimore, Catonsville, Columbia, White Marsh, and the surrounding areas. We are committed to delivering the top house cleaning service experience anywhere. That’s why our services are performed by teams of friendly, skilled cleaning professionals and backed by our 100% Satisfaction Guarantee. 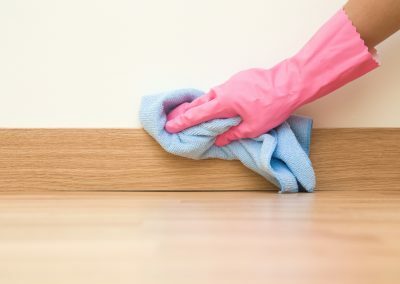 Our promise of an exceptional home cleaning goes far beyond the physical cleaning itself. We have an experienced team to provide dedicated customer service throughout your entire experience. Members of our support team are always easy to reach and eager to help. Our policies are fair, easy to understand, and designed to anticipate your needs. Thank you Baltimore Home Cleaning for doing an amazing job!!! When I came home not was the house super clean, but the attention to detail was great and it smelled good too! I was so happy to be in a clean place it left a big smile on my face for days.Living in the city I always get tons of dust from the streets. It has always been a challenge to keep my flat neat and tidy. A friend of mine recommended me to this service and it was just what I needed. Once more, thank you and I look forward to seeing them again soon. Love this team! Always a wonderful attitude. Very pet friendly. Leaves my house all sparkle and shine, every time! On time, prompt service. Easy to communicate both in-person and online when scheduling. Would recommend!!!! I've been struggling to find the right cleaning service that I knew would not only do a great job cleaning my home, but trusted that the team would act in a professional manner. Baltimore Home Cleaning exceeded my expectations at every level. Their promptness of arrival, their friendliness of the team, and their ability to clean my home from top to bottom was extraordinary. It was a seamless process, where they executed their business quickly and efficiently. Thank you Baltimore Home Cleaning for making my apartment look just as it did when I first bought it. Highly recommend their service! Baltimore Home Cleaning did a great job with my 700 square foot apartment. They were timely, thorough, and professional. My partner and I are very busy, and we rarely have time to give our apartment the top-to-bottom cleaning it deserves. Chris and his team gave our place some much-needed love. It's a joy to come home to such a clean apartment. Thank you, Baltimore Home Cleaning! BHC has done a consistently thorough job on our home (where six of us and a dog make lots of messes. They have never missed a cleaning and are very reliable. I am very grateful for their excellent work. Baltimore home cleaning is the most flexible cleaning service I've used. James understood my every need and developed a plan that fits within my budget and my wife loves it! They're very professional and very accomodating. Great experience! Baltimore Home Cleaning did a fantastic job. Excellent customer service, reasonable prices and flexible scheduling. I will be a long term customer with them. Very satisfied. Will recommend to anyone that is looking for a cleaning service. We're extremely happy with Baltimore Home Cleaning. We purchased the "move in" service and were able to schedule a cleaning within less than a week of the initial request. The house was exceptionally clean and they even replaced a broken light bulb in our refrigerator. This was super easy. The only place I found that didn't require a phone call. Let me schedule and pay, all online, and did a great job. Outstanding service! My bathroom looked cleaner than when I moved in. Highly recommend to anyone in the area. Great flexibility for scheduling, kind, and trustworthy! After another cleaning service canceled, I was in a bit of a crunch. Thank goodness for Baltimore Home Cleaning! Getting my apartment cleaned couldn't have been more painless. I was able to book the appointment online which is a huge plus for me. I live in an apartment building, so I left the key at the front desk and came home to a sparkling clean home. I will definitely be a repeat customer. One of the most professional cleaners I have used. Showed up early, which is absolutely unheard of. Very professional, friendly, and very very affordable. Would recommend to friends and family in a heartbeat. Easy to schedule, fair pricing, the staff is friendly and very professional! Would highly recommend! The team was great! Everything was spotless. It was so nice to have a nice, clean home for all of my guests. Very thorough and good customer service. I recommend! My experience with Baltimore home cleaning service was excellent. The owner Chris was very professional in the beginning when I called about rates. and how their service worked. I requested a 30 minute call prior to coming the day of cleaning which was honored and the individuals that cleaned my apartment for move out we’re phenomenal, efficient, and very expedient. I’m very pleased with Baltimore Home Cleaning service and plan to use them in the future. Professional and polite team. They do exceptional work! Will use them again and highly recommend. Excellent. The worker, Chelsea, was on time and did a terrific job for us. I would highly recommend Baltimore Home Cleaning, and I will certainly be using their services again. 5 Stars! 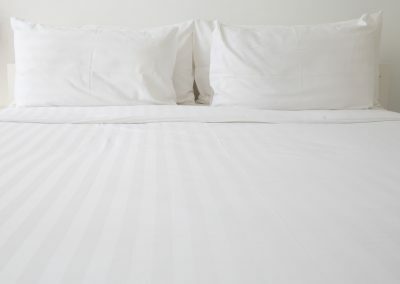 We have used several cleaning companies for our home. Not only is Baltimore Home Cleaning respectful, thorough, on time, and great with our sweet dog, they also fulfill our requests. Contact us when they’re on their way and are very affordable! Highly recommended. I receive monthly house cleaning services and move-in cleaning services for the house I rent. The house is always spotless - I really don't know how they do it! Great service; great customer service from the very friendly and accommodating staff; affordable prices. Worth every penny - I will recommend to anyone! Very thorough, courteous, and professional. Very satisfied, will continue to use their service! I had a great experience!! I was able to choose the level of service my home needed and book online and was impressed with the super friendly and helpful staff who did an amazing job. We used this company for about 6 months. We never had the same team come to clean. They were also often late and did not have flexibility in times they could come. They did a great job at first but the decline in service was steady. Then they wanted to charge us more saying it was taking longer even tho the job had not changed: the last time they cleaned they didn’t even finish the job they also didn’t call to tell me they had not finished. I was later informed that I was making special request even tho I had set these expectations when I originally called them. To simply not finish the job and then say they needed more money was very unprofessional I would have probably payed more if they had finished the job then called me to inform me there was a problem instead they just left it not finished and emailed me days later. Not impressed with there level of professionalism or consistency. Thank you so much for the cleaning. My house smells great! Looking forward to the next! Michael and Michelle did a great job! Get a personalized estimate and schedule your cleaning service online in less than five minutes. Communication is key. Let us know any special requests you have before the day of your scheduled cleaning. On the day of your appointment, spend your time doing whatever you want. We’ll take care of cleaning your house. Your feedback is one of the most vital elements of providng you with an exceptional house cleaning experience. Whether you loved your house cleaning experience or you thought we could have done better, we’ll take your feedback and use it to improve the services we offer. Design a custom house cleaning plan that fits your needs. We offer weekly, bi-weekly, monthly, and custom schedules for your convenience. Whether you’re preparing to put your house on the market or trying to recoup your deposit, hit the reset button with a detailed house cleaning service. Tired of dirt, dust, hair, and grease? Sticky cabinets and grimy baseboards? Our one-time deep house cleaning service will take care of those items and more. The world comes alive when winter breaks and spring arrives. We’ll make sure your home is guest-ready with a spring house cleaning so you can focus on your guests. 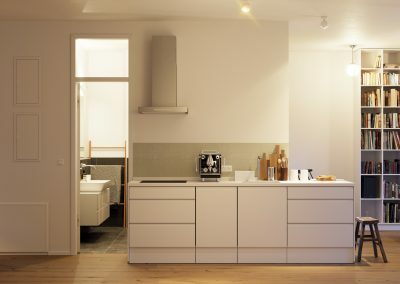 Apartments big and small — we clean them all. 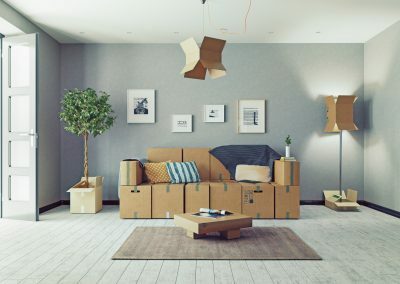 We’ll help you get your deposit back (move-out house cleaning) or help you keep your place tidy on a regular basis. A clean home is a point of pride for most people. With our maid services, you can relax and focus on what’s most important to you while we handle the home cleaning. Start enjoying easy-to-manage house cleaning services personalized to your needs and performed by background-checked, trained cleaning professionals. Our house cleaners follow our extensive checklists to ensure an accurate and thorough cleaning each time we visit your home. You can customize our checklist or provide your own. We are fully insured and our staff members have passed nationwide background checks. So on the small chance that something does go wrong on our end, you don’t have to pay for it. Our staff members and technicians have been selected to work with Baltimore Home Cleaning because of their unwavering commitment to providing world-class service at all times. Other cleaning services require an in-home estimate before you can book with them. We’ve make it easy for you to schedule a house cleaning online in under five minutes. Very thorough, courteous, and professional. Very satisfied, will be using their services again. 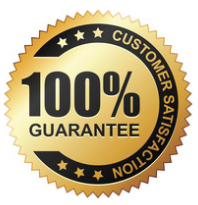 We extend our Satisfaction Guarantee to all of our clients. 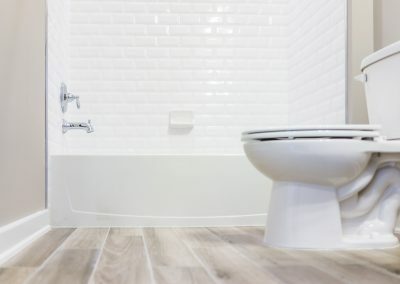 It’s simple: if you think we could have done a better job cleaning your home, let us know within 24 hours of your cleaning service and we’ll come back and re-clean the areas you were dissatisfied with at no additional cost to you. What is Baltimore Home Cleaning's cancellation policy? You may cancel your advanced scheduled house cleaning free of charge until 5PM the day before your scheduled house cleaning. Cancellations requested after 5PM the day before your scheduled house cleaning or the same day of your scheduled house cleaning may be charged a 15% short-notice cancellation fee. We will charge your card between 12AM and your scheduled appointment time the day of your appointment. If you’re not satisfied with your house cleaning service, we’ll re-clean the areas you were dissatisfied with – free of charge. You must report any problems or dissatisfactory service to support@baltimorehomecleaning.com within 24 hours of your appointment. 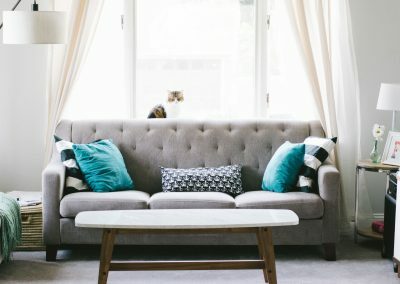 Is Baltimore Home Cleaning pet friendly? Yes, our cleaning team is happy to work in homes with friendly animals and pets. If necessary, we can accommodate certain pet instructions during your house cleaning service, such as letting your dogs out of the kennel before we leave. However, since even friendly animals can get in the way, we require all pets to be safely secured during the actual appointment. If a crate or kennel is unavailable in the home, owners can simply move their animals to unoccupied rooms as our team works in other areas. If your pet is likely to become anxious or agitated during our visit, please make off-site arrangements prior to your scheduled cleaning date. Thank you for your understanding. Is Baltimore Home Cleaning insured? Yes, we’re insured. In the event of accidental damage, please report the issue within 48 hours of the time of your cleaning. You may email us at support@baltimorehomecleaning.com. We’re here! Call us at 443-432-4201 or email us at hello@baltimorehomecleaning.com. Don’t lift another finger, except to get an estimate and schedule your cleaning. Follow and subscribe to Baltimore Home Cleaning and you’ll receive great content and offers directly to your inbox and in your feed.